Overly mature or pleasant surprise? 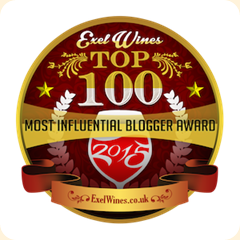 ﻿﻿ I recently entered all my wines into Manageyourcellar.com. This is an easy to use, free cellar management program. I don't have a massive wine cellar, but enough that if I don't keep track of it I might overlook the perfect bottle for an occasion. One nice feature is that once the wines are entered in, it gives you recommendations on when to drink the wine or let it age. When a wine is listed as "mature" it may be on the downhill slide. 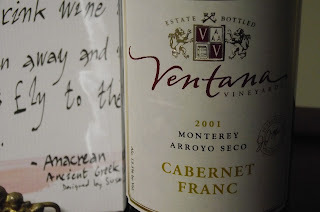 We picked up this 2001 Ventana Cabernet Franc at a closeout sale at Andersons in Maumee. Based on the Manage Your Cellar rating, it was two years past its prime, but still listed as "drink." Green Dragon assisted in the tasting and her first words were, "this is very good." I was glad to hear it because I was expecting a tired wine that lost its fire. 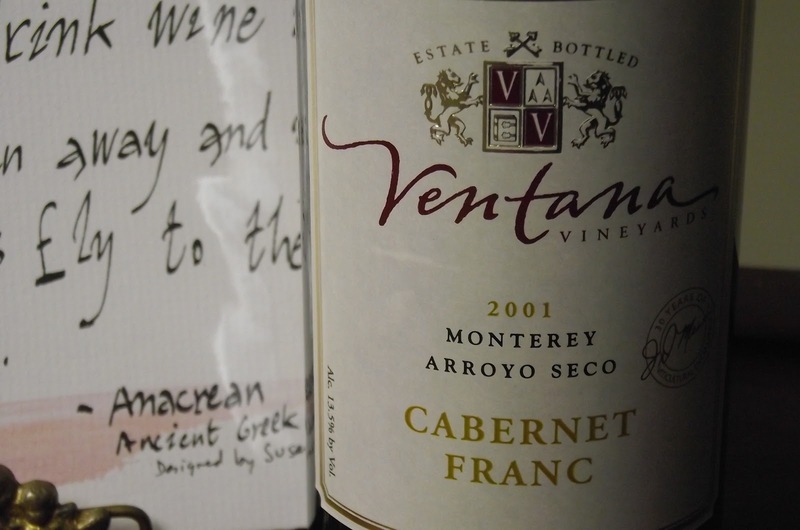 Ventana doesn't make Cabernet Franc every year, only when the grapes are exceptional. Several years ago this wine took some medals in competition in the $10 to $20 range. We were able to snag this bottle for a mere $7. The grapes were handpicked and hand-punched (ouch!). It was aged in French and American Oak for 18 months. This was a soft textured wine with a dark ruby color. To my knowledge, this is my first wine from the Arroyo Seco AVA. The body and finish were both medium. My initial reaction was that the flavor was a bit flat. It seemed lacking in tannins. As sipping continued, the blackberry flavors stepped forward. It had some subdued smoke and pepper. It left me wondering whether the subtle pepper was by design or might have been more intense had we opened a bottle two years earlier. Either way, we dubbed this a good choice for an evening unwind wine. It also left me wanting to sample more Ventana wine. Cool, I'll have to check if they have more, that sounds great. Have you tried CellarTracker? I hadn't seen ManageYourCellar before, but CellarTracker seems to be several quantum leaps ahead of them in content (reviews, wines in the database, features, etc).